Project Complete On Time and Under Budget! Final lane shift complete, permanent signs in place Greenbridge Construction has de-mobilized for the final time at the MD 234 Emergency Bridge over Allen Fresh Run. Greenbridge Construction has placed the final structural concrete member, and soon will be starting site work and opening all lanes to traffic. The Bid-well machine has served it's purpose and will be removed and relocated to assist the GBC team on another project. Greenbridge would like to thank everyone who played a part in accomplishing this milestone and to thank all the passerby's how have successfully maneuvered in and around the work-zone safely. Beams have been set, steel in place, safety rails installed, and Bid-Well machine ready to roll. On Monday September 29th Greenbridge will be one more pour closer to completing the Emergency Replacement Bridge over Allen Fresh run on MD 234. With only the curb an expansion beam left to pour, GBC/SHA anticipates the new Emergency Replacement Bridge ov Allen Fresh run on MD 234 to be Substantial complete by late October, just in time for Holloween. So if you see strange lights hovering over the river don't be alarmed, it is just our employees doing what ever it takes to complete the project on time. 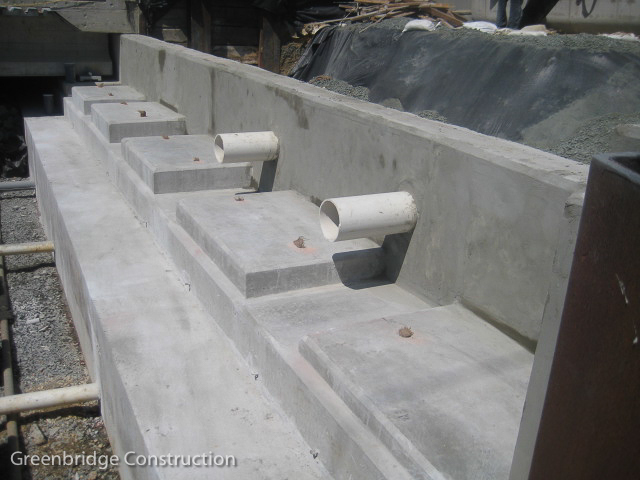 Stage 2 precast beams have been Read more... If you happen to drive over Allen Fresh Run on Maryland 234 today, you would have noticed two large Digging and Rigging cranes on either side of the bridge. Today marks the mid way point in the completion of stage 2 and signaling the end is near. 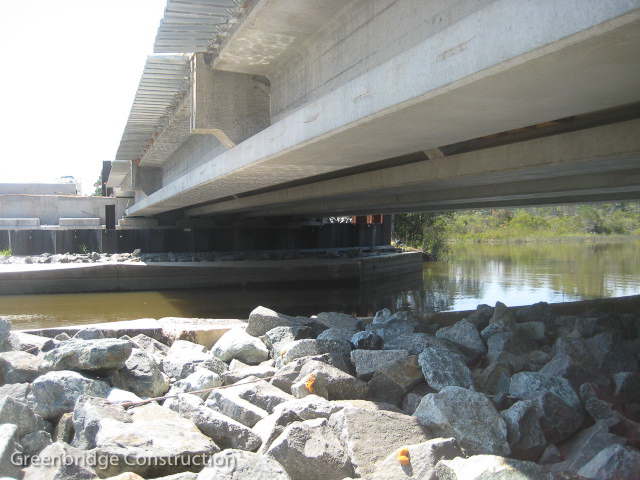 Five 90,000 lb precast beams were set into place with a precision of an 1/8th of an inch. We would like to think all our suppliers and sub contractors, and those who may have been inconvenienced by the off and on road construction and traffic pattern changes.